Peanut butter chocolate banana pie is a no-bake pie! Peanut Butter Chocolate Banana Pie is easy to throw together when you need a dessert quickly. Your guests and family will love it. Whenever I make a dessert the first thing that comes to mind is chocolate and how I can add it to a recipe. Chocoholics are like that. We don’t think it’s dessert if it doesn’t have chocolate in it. Peanut butter chocolate banana pie will become a favorite! Place the chocolate chips and peanut butter in a small microwave safe bowl and microwave on high for about 35 to 40 seconds until creamy enough to mix together with a spoon. Spread in the bottom of the pie crust. Peel and slice the bananas in a bowl and sprinkle with lemon juice to keep them from turning black. In another bowl with an electric mixer, mix together the pudding mix with the one cup of milk. Fold in the bananas and put pudding in refrigerator for about five minutes until it starts to set up. Spoon into pie crust and spread with a spoon. Spread whipped topping over the entire pie. Can garnish with banana slices or chocolate chips. Put in refrigerator for a couple hours before serving. Makes about 8 servings. Enjoy! Note: You can use your imagination with this pie. You could crush vanilla wafers and add to the pudding along with the bananas. You could also add nuts. It is very rich and creamy and so easy to make! If you like this recipe, you might also like my recipe for Creamy Butterscotch Pie. This is a no bake pie that you'll make over and over again. Place the chocolate chips and peanut butter in a small microwave safe bowl and microwave on high for about 35 to 40 seconds until creamy enough to mix together with a spoon. Spread in the bottom of the pie crust. Peel and slice the bananas in a bowl and sprinkle with lemon juice to keep them from turning black. In another bowl with an electric mixer, mix together the pudding mix with the one cup of milk. Fold in the bananas and put pudding in refrigerator for about five minutes until it starts to set up. Spoon into pie crust and spread with a spoon. Spread whipped topping over the entire pie. Can garnish with banana slices or chocolate chips. Put in refrigerator for a couple hours before serving. You can use your imagination with this pie. You could crush vanilla wafers and add to the pudding along with the bananas. You could also add nuts. It is very rich and creamy and so easy to make! Yes, Teri, I think you could do that with no problem. I made the Peanut Butter – Chocolate Banana Pie tonight and it is a winner! Absolutely delicious and so easy too ! Thank You for so many wonderful recipes. 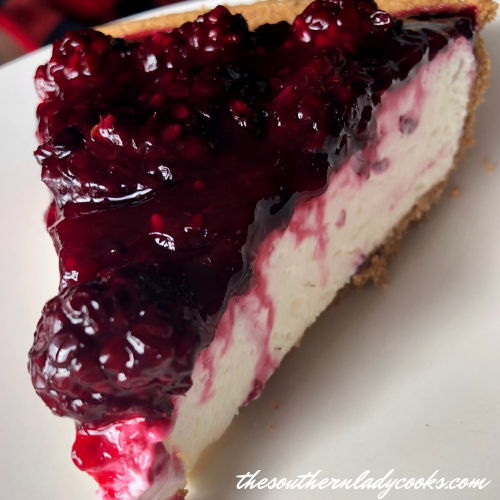 This is a delicious pie…easy to make, too! I made 6 of them for Wednesday night supper at church last night, and everyone loved the pie. The only thing I changed was I used a baked pie crust…just personal preference and a little more economical since I have a budget. Thanks so much for the recipe. I will put this one on my dessert rotation. So happy to hear everyone enjoyed the pie, Kathy, and thank you for letting me know. I sure will be making this,My husband and I both love peanut chocolate,I just can’t wait to make it…And by the way I send them to my neice in Missouri, She said some were over the top…Thanks and please keep the Recipe coming Hope you have a wonderful and God bless you….Oh by the way on the 22nd I made the lemon ghess cake The lemon glaze was to die for I could have drank it by its self.. I have been contemplating making this for about a week now… and I finally made it tonight! It was super easy and only a few ingredients! That’s how I like it! We’ll find out how it turned out tomorrow! Can’t wait! I love your site, your recipes and pointers are great. I’m always looking for recipes that I can convert to sugarfree or very close. In this one I could use sugarfree vanilla wafers for the crust..sugarfree coolwhip and sugarfree ppudding. It would still be delicious. Thank You. Hi Michelle, I just sprinkle them lightly with lemon juice. I would not use over a tablespoon probably. Thank you for a great comment and have a great weekend. I think I better make two – one for the family and one for me. Hi Judy this recipe I wrote it down it looks so good. I love peanut butter. I love your recipes. Thank you so much for the good recipes keep them coming. I have loved banana cream pie but the bits of chocolate put it over the top… delicious! You know I always look at your banana recipes, even though I don’t like bananas, because they somehow still make me hungry! What a nice looking pie. This looks so heavenly… there is no better combo than chocolate, peanut butter, and banana.